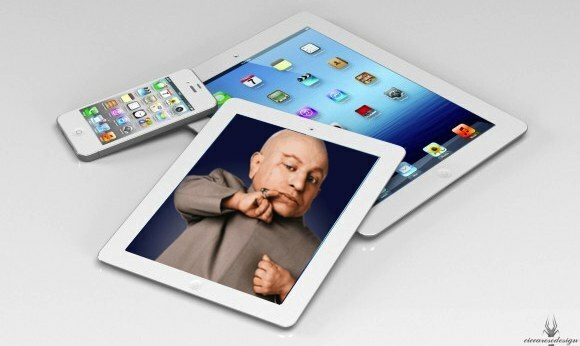 The Amazon Kindle Fire and Google Nexus 7 will totally kill the iPad? In a word, not. Well, highly unlikely, not. When Apple reported results for the June quarter, iPad numbers dazzled, rising 84.3 percent year-over-year. However impressive that number is, you need to scratch the surface a little for the real meaning — iPad market share is growing. 17 million iPads — that’s how many Apple sold in the June quarter. As with many numbers, the real importance only become clear until comparisons get made. For example, according to IDC data, year-over-year iPad market share saw its share of the growing tablet segment increase from 61.5 percent to 68.2 percent — a bigger piece of bigger pie. Although the Amazon Kindle Fire made splash last Christmas and people have been talking up the recently launched Google Nexus 7, Apple is widely expected to ship a 7-inch iPad mini, perhaps on September 21.